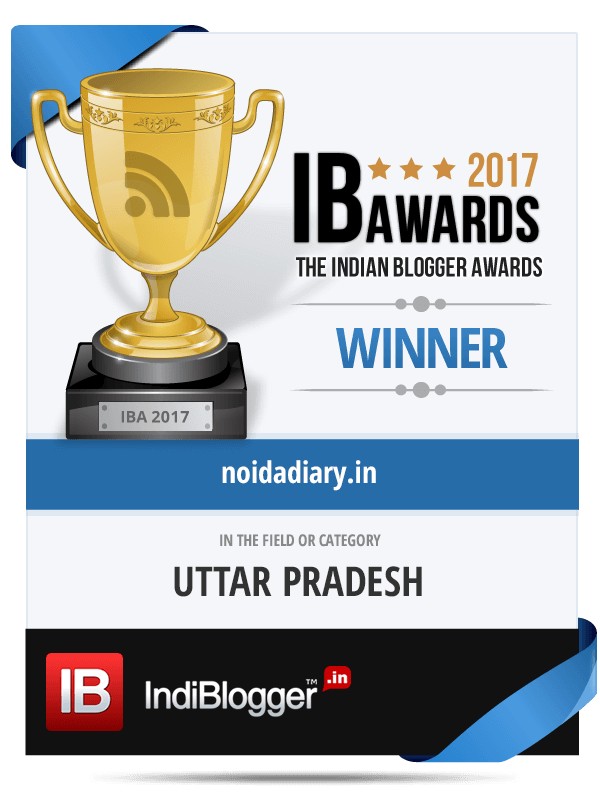 Awarded Life Membership of International Journalism Centre at 7th Global Festival of Journalism - Noida Diary - Rediscover Noida With Us! Recently, we were invited to the 7th Global Festival of Journalism at Marwah Studios. It is the biggest annual media event in Noida with over 30 events with nearly 100 eminent speakers in 3 days from different fields of media including print, television and digital. The GFJN 2019 was inaugurated by Mr Sandeep Marwah, Founder-Managing Director, Marwah Studios on February 12th by lighting a candle in the august presence of renowned media personalities from print, television and digital platforms. KG Suresh, Director General of Indian Institute of Mass Communication, Neeraj Thakur of Press Council of India, Sakshi Joshi from channel News 24 were the special guest at the inauguration function. Journalism is considered the fourth pillar of democracy. It upholds the democratic fabric of a nation through freedom of expression and shaping public opinion. Journalism is a demanding profession which requires unrelenting efforts to research and report information to the public responsibly. Journalists and media professionals were honoured during the GFJN in recognition of untiring efforts in their respective fields. We were honoured to be included in the list of the awardees. On the occasion, I was felicitated with a life membership of International Journalism Centre and presented with GFJN memento for quality contribution to the field of journalism through the blog Noida Diary. This was truly humbling! “It is our great pleasure to present and honour all those journalists who have done well in their profession and also who have helped this profession to remain as one of the most prestigious professions of the World,” said Dr. Sandeep Marwah, President of the festival. The Global Festival of Journalism started way back in 2013 as an event of, for & by the journalists. Since then, it has evolved into a platform for Indian and foreign journalists, media persons, editors, film makers, veterans, script writers, bloggers, photographers, anchors and aspiring students of journalism & mass communication to have a powerful cultural exchange. The event holds seminars, panel discussions, interviews, presentations, workshops, award ceremonies, book releases, press reviews, documentary screenings, theatre show and many more activities. ‘The Challenges of Journalism in Present Scenario’, ‘How Media Influences Public Opinion During Elections’, ‘Fake News and Media credibility’, ‘Is 4th Pillar of Democracy Under the Threat of Corporatization?’, ‘Changing Facets of Journalism in Digital Era’. On the sidelines, I had the opportunity to conduct a workshop on ‘Citizen Journalism with Focus on Blogging’. It was an enriching experience interacting with the students of AAFT School of Journalism and Mass Communication. The interactive session revolved around responsible reporting, content promotions through different social media and some tips on seo techniques for digital content creation and marketing. The 7th GFJN (Global Festival of Journalism Noida) was organised on February 12th-14th, 2019 International Journalism Centre, in association with Marwah Studios and ICMEI, under the stewardship of Mr. Sandeep Marwah.